As a kind of common winch, the towing winches also can be called tow winch for sale, tugger for sale, and tugger machine and so on. An entire tugger system is made up of eight important components; they are winding drum, detent, clutch, wall shelf, foundation, rope guide, actuating device and relevant control device. What is the most important to a towing boat winch is that connect the tugboat with drag and afford corresponding loads, as well as do the job of deploying and retracting cable, at the same time, the wire tugger winch also play a significant role on store rope. With around one century’s rich experience and advanced technology, Ellsen is capable to offer a complete range of winches to meet all our customers’ requirements, which including the mooring winch, capstan winch and anchor winch. According to the different power, we will provides you these four types of tugboat winch, they are electric tug winch, air tow truck winch, hydraulic winch tow and diesel tow truck winch for sale. And considering the number of drum, we also support three distinct modes towing winches, which includes single drum anchor handling towing winch, double drum towing winch and multi-drum towing winch. 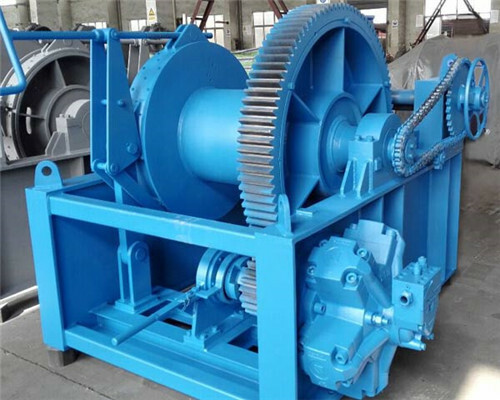 In additional, relying on professional expert’s team and excellent production equipments, Ellsen is also quite confident to design and custom your certain wire tugger winch on the basis of your detail demands. As we all know, with the development of flourish ocean shipping industry and massive construction project, the tugger machine greet a unprecedented opportunity, and get a widen usage. After several times research and optimize, Ellsen Machinery Equipment co.,Ltd has been the leader manufacturer in tuggers for sale, which holds the insurmountable ability to produce all kinds of ideal tugger system with competitive price and high quality. All the tugger boat winch from Ellsen pass so many international standard, such as FEM, DIN, ISO and the other industry requirements. What’s more, we are also capable to offer different tugboat winch with drum load from 10 kN to 2500 kN at last. The electric tow truck winch for sale is mainly designed for the working environments that need taxing work and big attractive effort. Generally speaking, the electric towing winch is mainly to lift or pull the boats or something with a load rating below 10 ton. According to the different design requirements, we can offer several types of electric towing winches; they are the single drum electric tugger machine, double drum electric tuggers for sale and multi-drum electric tugger system. Aimed at the single drum electric tugger boat, our professional engineers put forward a reasonable and excellent design, among which the entire electric wire tugger winch is driven by the motor that after reducer, besides, we also equip a detent between the motor and input axis of the reducer. In order to fit for the work of lift, traction, and rotation, we specifically design the double drum and multi-drum tugboat winch. Usually, the hydraulic tow truck winch for sale can pull and lift these goods with the biggest load rating when compared with the other tow winch for sale, like the electric and manual towing winches. Generally speaking, a hydraulic towing winch can lift or pull the goods from 10 ton at least to 5000 ton at last. The entire hydraulic anchor handling towing winch can be divided into five parts, they are the power plant, execute components,control and adjust apparatus, auxiliary device and service fluid. Relying on these parts, a hydraulic towing winch can work smoothly though the hydraulic pressure transferred from mechanical energy by the hydraulic motor and cylinder. Usually, the hydraulic towing winch can pull and lift these goods with the biggest load rating when compared with the other towing winch, like the electric and manual towing winch. Generally speaking, a hydraulic towing winch can lift or pull the goods from 10 ton at least to 5000 ton at last. The entire hydraulic towing winch can be divided into five parts, they are the power plant, execute components, control and adjust apparatus, auxiliary device and service fluid. Relying on these parts, a hydraulic towing winch can work smoothly though the hydraulic pressure transferred from mechanical energy by the hydraulic motor and cylinder. Fit for so many types of vessels, which includestowing/anchor handling/supply vessel, harbour tug, port tug, and guard tug and so on. The line with advanced technology in Ellsen has the incomparable advantages to manufacture the diesel tow truck winch, which incorporates the best ideas and innovations. We are totally confident to produce a series of diesel winch tow with high quality and competitive price according to your requirements. Ellsen is quite confident to produce a complete range of tug winch and related components to satisfy all the need in offshore industry. According to the basic information including ship forms, key dimension of towing winch, the length needed in a cable, and the needed drag force on working, we can design the different solution that keep customers happy. All our tow truck winch are designed by professional engineers with rich experience, which can work smoothly in poor and heavy environment relying on the excellent quality and incomparable performance. 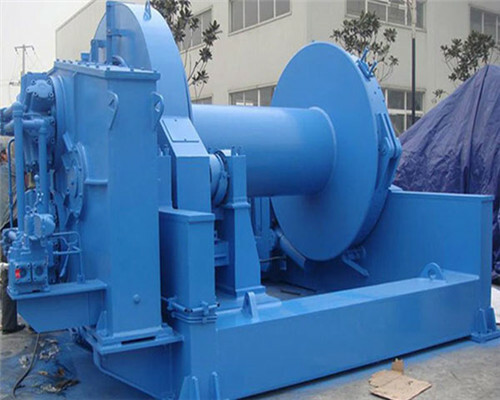 Concentrated on the produce of towing winch for about one century, Ellsen Machinery Equipment co.,Ltd has been China’s biggest professional towing winch manufacturer, with most complete types of tugger machine and the maximum volume of production and marketing. Besides, Ellsen also has so many incomparable advantages just as the follows reflected. First, the unique geographical advantages ensure the fastest delivery. Near to the Beijing-Guangzhou expressway and the Zhengzhou international airport, we offer the fastest delivery in ten days. According to the data in the past six years, you will find that there is zero-error in our delivery system. Second, the excellent enterprise spirit brings big development potential. Founded in 1955, Ellsen Machinery Equipment co., Ltd has been a leader in towing winch industry with 6 factories and over 2000 employees. During more than one century’s development, we always guided by the principles of “customer first, quality ahead” to produce high quality towing winch. Relied on the elaborate design, fast delivery and profound service, our towing/ tugger winch has been exported into almost 40 countries and regions, through which we win great reputation among our customers, and becoming their first choice for all kinds of lifting equipments.